When first described to me on the cbm-hackers mail list I thought that someone had found an old Vic 20, or a C16 or some weird thing, trust me CBM developed plenty of models I have never seen nor touched. However it was described as a TED (TExt Display system, the internal name for the 264/Plus4 computers), I was pretty sure I would not know anything about these weird units of some kind of TED in a Vic20CR case. Then I lhad a very weird moment as I looked at the picture and there was my handwriting on the chip labels from 25 years ago (I was 24 at the time). Even the "P19" written in sharpie was clearly my hand writing, I could even tell something about when it done from my script as I started crossing my "D"s after a trip to Commodore Tokyo and seeing how they made a D. (I used to get called "HERO" instead of "HERD" in gym class because a straight line looks curvy when written on gym trunks). So then it came back to me what this was, we had made some Alpha units to release to developers to get an early jump on software development. 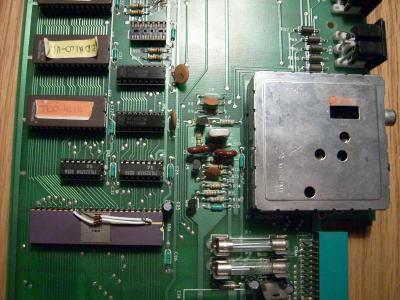 The diodes on the TED chip are from when the chip designers installed test functions in the chip not realizing that the high impedance inputs would trip from stray RFI fields and cause the clocks to stop resulting in a 60 Hz modulation of the processor and video display. See Ander's description below about where and how this unit was found in a basement in Sweden. The TED prototype was found in the basement at a former PET reseller's house in Sweden, among with about 50-100 PET machines, floppy drives, a few hard drives and much more. Several of the cbm-hackers members got their fair share of my findings. While some of the PET stuff were relatively uncommon (e.g. 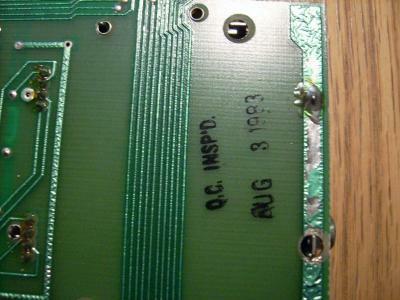 four D9060 hard drives), none of it was ultra-rare except for this TED prototype board. 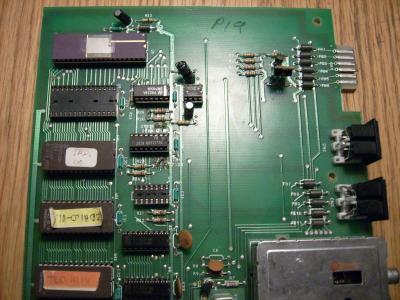 It was found on a shelf, resting in the bottom half of a C64 breadbox shell but not screwed into it. 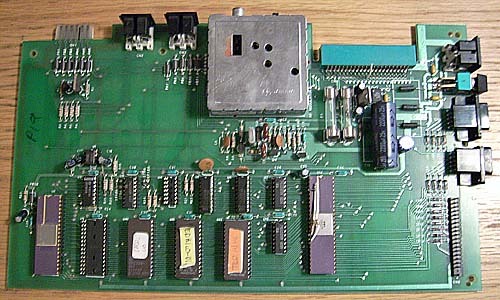 At first when I looked at it, I thought it simply was yet another C64 motherboard but saw it was much smaller and had different chips associated with the TED line. I never quite asked how it ended up there, and likely I would never had got a good answer. Possibly it ended up there as some other Commodore development group closed down, or it was found to not be working. Nice to see stuff like this, Thanks for sharing the story and pics. Does the pictures exist in larger resolutions ? With the current ones it is impossible to zoom in a see your handwriting - which you refer to in the article.